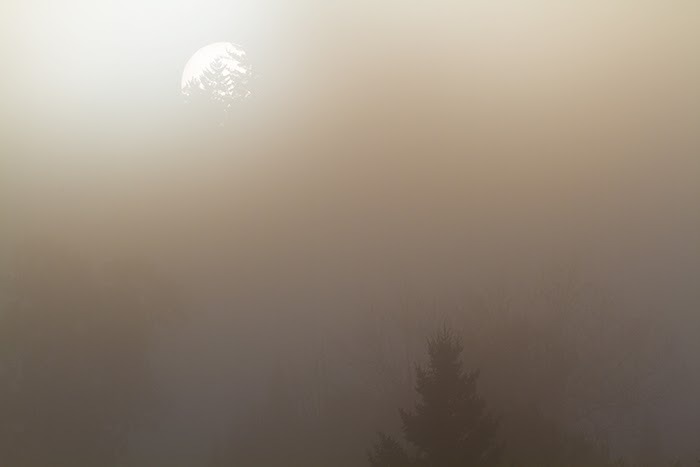 The rising sun peaks through the heavy fog at Connery Pond. You might think from this and my previous posts that I spent the majority of my time in the Adirondacks at Connery Pond, and that is not exactly true. I did visit on three different mornings while I was there, usually for sunrise, but mostly Connery Pond was just where I got my most productive photography done. There were lots of great subjects and the light and fog were constantly changing, providing lots of opportunities for different compositions. It was also fun and challenging to find compositions that took advantage of fog, rather than be hampered by it. At times it was quite thick and not very conducive to either grand landscapes or brilliant foliage. Here are a few more images from around Connery Pond, taking advantage of the heavy to light fog conditions throughout the morning. 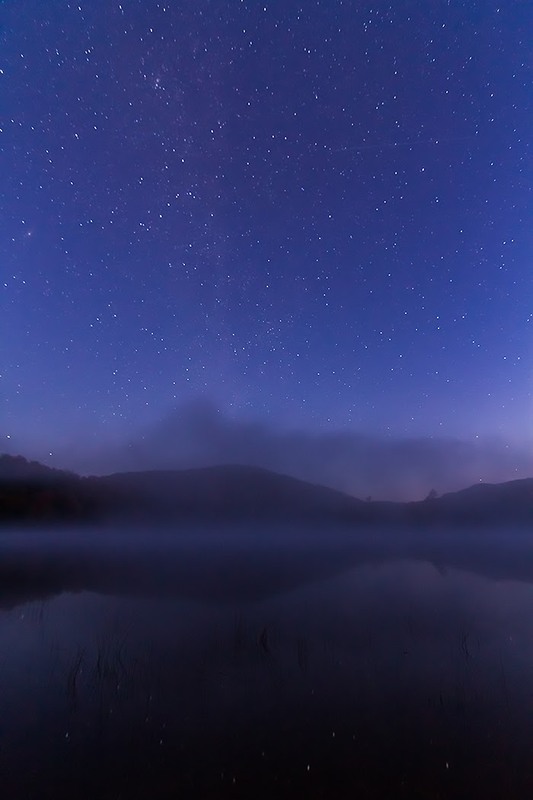 Fog and the Milky Way over Connery Pond just before dawn. 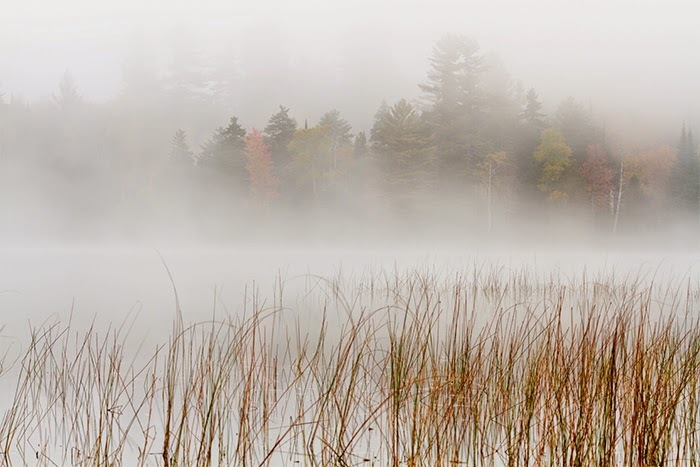 Fog and foliage on Connery Pond. 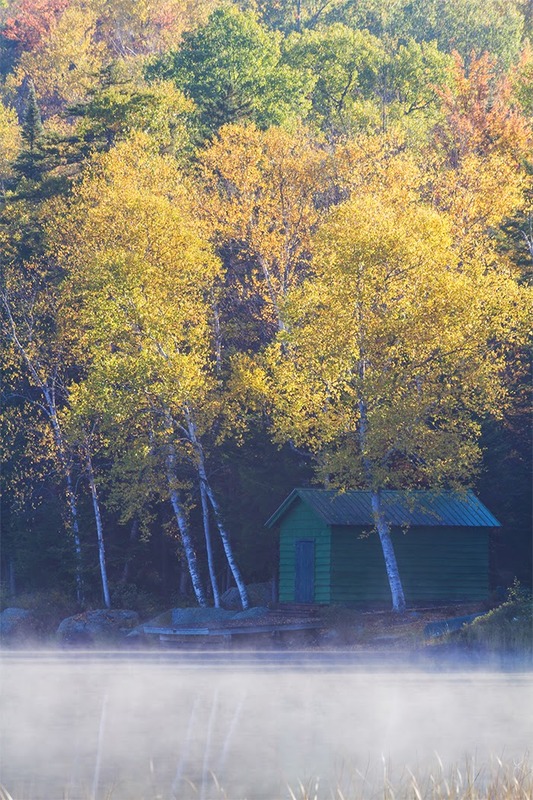 Adirondack boathouse on the shores of Connery Pond near Lake Placid, NY.